Sangamithra, one of India’s most expensive films, has been making headlines on several occasions ever since the film’s team made a splash at the Cannes Film Festival in summer this year. On the other hand, the makers are finding it tough to zero in on a leading lady who will don the central character. Following Shruti Haasan’s exit from the movie, there have been reports that Hansika has been signed to play the lead role. But according to the latest updates, Hansika is not part of Sangamithra and a hunt for the leading lady is still on. 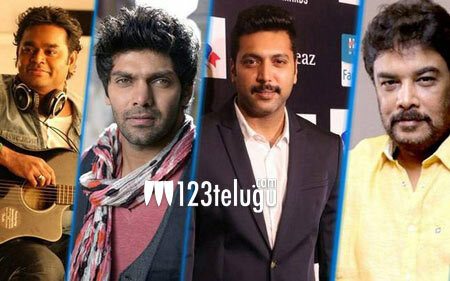 Sangamithra stars Jayam Ravi and Arya as the main leads. This ambitious fantasy film will be directed by Sundar C and produced by Sri Thenandal Films banner. AR Rahman will be scoring the film’s soundtrack.